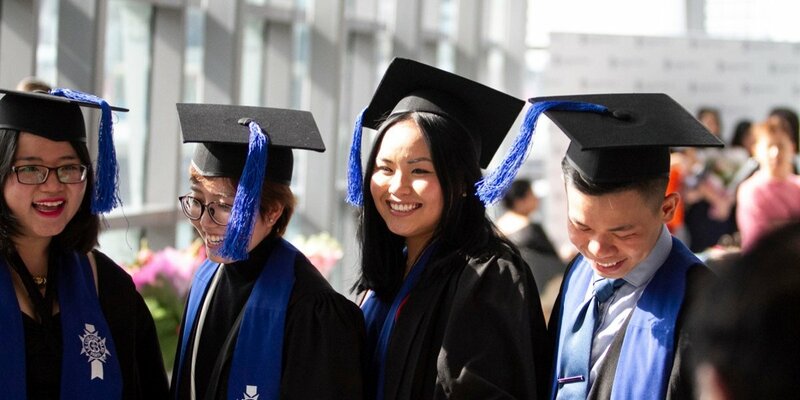 In August and September, 240 students attended graduation ceremonies in Sydney, Melbourne and Adelaide, receiving parchments from Le Cordon Bleu Culinary, Bachelor’s, and Master’s programmes. 27 students were also honoured for outstanding achievement. 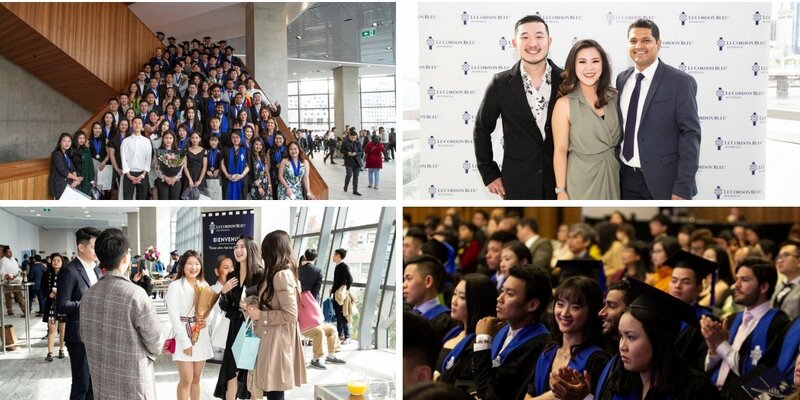 414 guests gathered at the International Convention Centre to attend Le Cordon Bleu Sydney’s graduation ceremony. 131 students graduated from Culinary and Bachelor’s programmes with 9 students awarded for outstanding achievement. 8 Master's graduates from the Le Cordon Bleu Master of Gastronomic Tourism programme were also recognised. Master of Ceremonies, Mr Philip Brown introduced industry guest speaker, alumnus Mitchell Turner (General Manager, Radisson Blu Plaza) who graduated in 2006 with a Bachelor of Business (International Hotel & Resort Management) and spoke eloquently about his career journey. 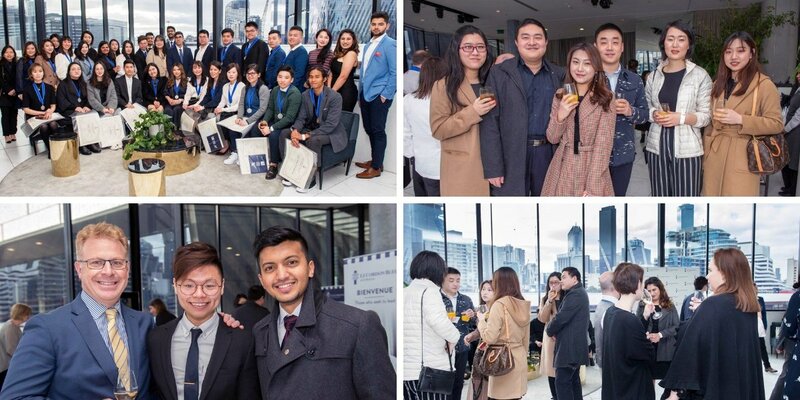 Le Cordon Bleu Melbourne celebrated the achievements of graduating culinary students at Aerial in South Wharf with 116 guests, including students, staff, assessors, academics and industry partners. 35 eligible students graduated from Le Cordon Bleu culinary programmes, with 6 students presented with awards for exceptional achievement. Master of Ceremonies, Mr Greg O’Shea introduced industry guest speaker, alumnus Joe Wee Lim (Corporate Head, China Bar Group) who graduated from Le Cordon Bleu Adelaide in 2012 with a Bachelor of Business (International Restaurant Management). Graduating students Meng Ooi Ong and Ronith Victor Arlikatti delivered the graduate response on behalf of their cohorts. 321 guests assembled at Adelaide Town Hall to celebrate the graduation of Le Cordon Bleu Adelaide students. 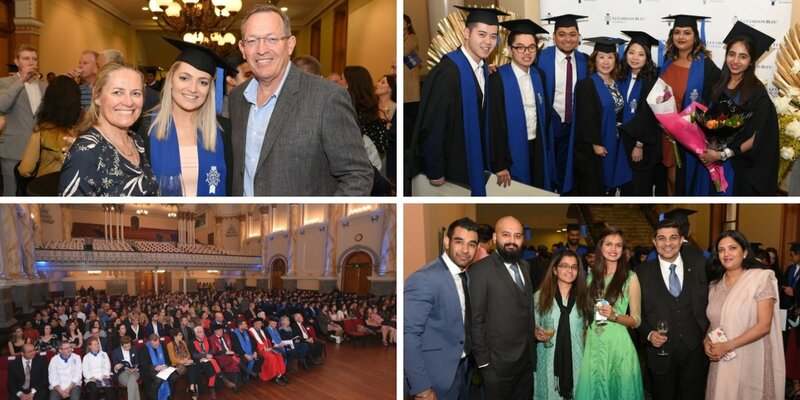 74 students from Le Cordon Bleu Culinary, Bachelor’s, and Master’s programmes received parchments at the formal cocktail event, with 12 students honoured for outstanding achievement. Amongst those in attendance were VIP guests; representatives from Le Cordon Bleu’s partner institutions Regency TAFE and University of South Australia; industry supporters; members of Le Cordon Bleu Academic Board; and Master of Ceremonies Mr Stan Szczypiorski. Industry guest speaker, Paul Reynolds, former University of SA Associate Professor and ex-Le Cordon Bleu Programme Manager, delivered an engaging speech on crafting a well-conceived work philosophy. “You need to find your own motto or your own mantra to guide you through not only what you want to do but who you want to be. When you work that out, try to find a company or organisation whose ideas and mission are in line with your own." Le Cordon Bleu congratulates all graduating students and proudly welcomes them as lifelong members of our international alumni family.